Many women — and increasing numbers of men — adorn their wrists with hairbands, allowing them to pull back their hair in a flash. Most don’t even give them a second thought, wearing the elastic bands to bed, the gym, work or even on date night. But Audree Kopp, a Louisville, Kentucky, resident, learned the hard way that wearing a hairband on a wrist so frequently may not be as safe as you’d think. While she spent all day moving into her new place, Kopp didn’t think twice about the glittery hairband on her wrist, until she noticed a large, painful bump developing on her arm. The rough edges of the hairband had rubbed against her skin, causing an abrasion, which allowed the body’s natural skin bacteria into her body. When antibiotics didn’t quell the infection, she went to the emergency room, where doctors performed surgery to drain the fluid from the abscess. “To get [an infection] from a tight wrap from something like this is not unheard of,” said Dr. William Seitz — executive director of the Cleveland Orthopaedic and Spine Hospital at Lutheran Hospital, director of Hand and Upper Extremity and immediate past president of the American Society for Surgery of the Hand — who didn’t treat Kopp. “There was an abscess that took form beneath the skin and festered into what you might call a [boil]. Somehow the bacteria had to get in there … based on some abrasion,” said Seitz. Although Dr. Lauren Ploch — a member of the American Academy of Dermatology practicing in Augusta, Georgia — has not treated any infections in her practice related to hairbands, research shows that people who wear wristwatches are more likely to have infections than those who do not. But don’t throw out your hairbands just yet. Seitz and Ploch provide tips on how people can safely wear hairbands. Anything that compresses the skin restricts blood flow to the hands and fingers, which can cause anything from hands and fingers falling asleep to vascular problems to a skin breakdown. 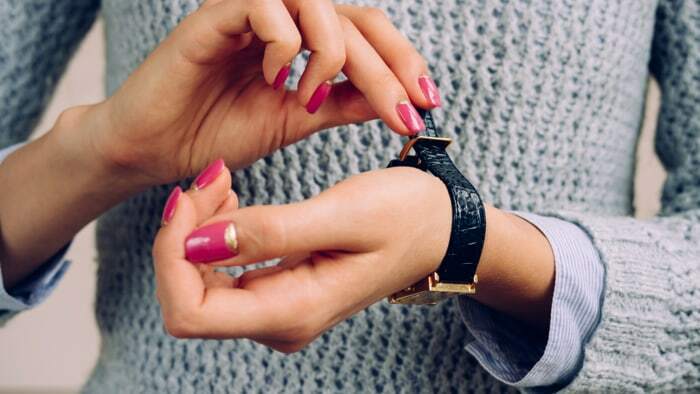 Make sure items on the wrist — including watches, jewelry and bandages — don’t cling tightly to the skin. If you can stick a finger under it, you’re probably safe. While glitter gives your ponytail sparkle, it can rub against the skin causing tiny cuts. These cuts make it easier for skin bacteria, which is normally harmless, to enter the body and possibly cause infection. Did you sleep with that hairband on your wrist? Wear it all day and never once put it in your hair? Wearing anything on the wrist for too long can restrict blood flow to the skin and trap of bacteria under it. Taking it off will allow better blood flow to the air and will help keep the skin cleaner. When washing your hands, it is important to also wash under the hairband. This prevents the bacteria from flourishing and protects the skin from breakdowns that could cause infection. Most people change their socks and underwear daily but few consider swapping out that old mangy hairband for a new one. 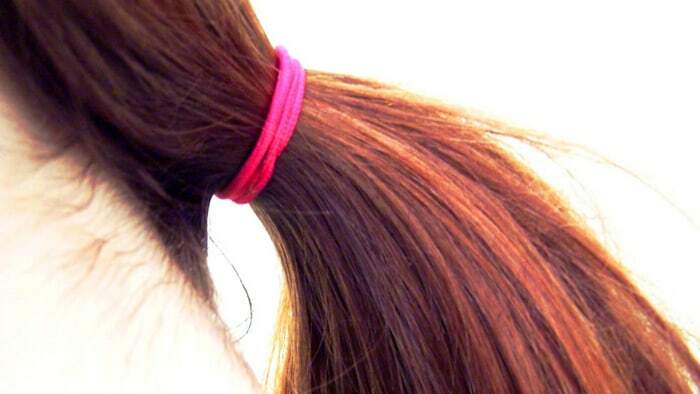 Hairbands gather dirt and bacteria, too; consider washing them and wearing clean ones. “Make sure to clean all items worn on the wrist regularly,” said Ploch.